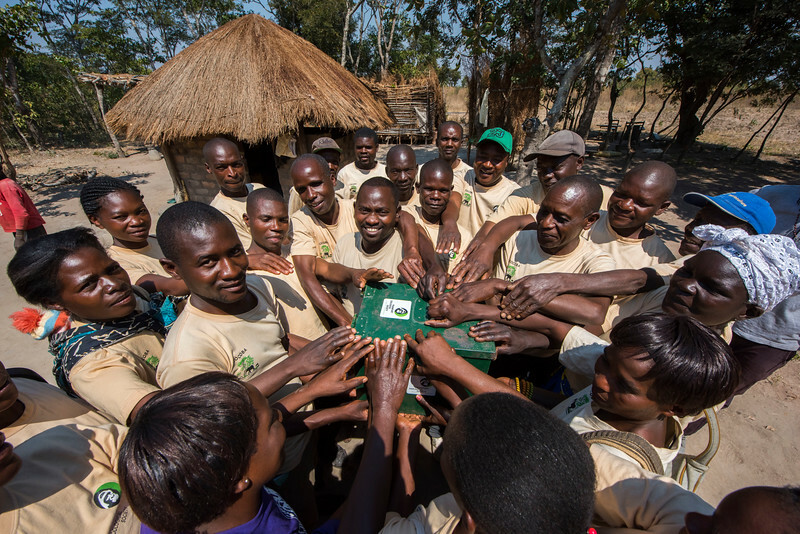 A COCOBA group holding the box after the annual cash payout meeting in Katibunga, Zambia. COCOBA (Community Conservation Bank) is a micro finance system taught by FZS where small local groups invest money in the bank. They can also borrow money with interest for startup or equipment investments in eco-friendly businesses. Each year, investors in the bank get a share related to their investment out of the profit of the bank. © Daniel Rosengren.